Self motivation is an essential skill for success. This practical self-help guide reveals what it is, how exactly it can help us and why it is often so elusive. The book contains exercises and provides a complete self-help course. 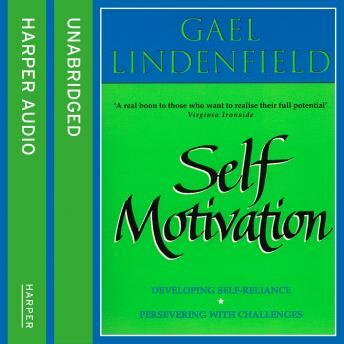 Gael Lindenfield reveals 36 secrets for motivating yourself plus tips on encouraging others to do the same. So often, low self-esteem can hold us back from achieving our full potential and with the skills Gael offers, the reader will be encouraged to accept challenges, no longer put things off or procrastinate, choose the easy option or indulge in self-doubt.